Each of Sarasota’s islands and waterfront neighborhoods has its own personality. And each micro market has its own lifestyle and nuances. We strongly encourage each client to weigh in on the trade offs of each option to ensure that they are making a conscious choice that will result in the greatest lifestyle experience you aim for! 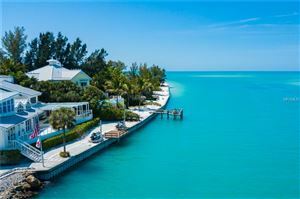 When you consider waterfront property in Sarasota it is important to how you want to experience that water. Do you want to be along a walking beach so you can get up each morning and exercise? Do you want to have a canal or bay front home so that you can have a boat dock? Do you want to see the sunset or sunrise each day? Do you want to watch birds fishing or dolphins swimming by? Bird Key Real Estate can offer some of the best choices in Sarasota living and Sarasota lifestyle to the lucky few who own homes there, and that's only 510 families total! Bird Key homes are typically canalfront or bayfront, with some garden homes which are not situated on the water. 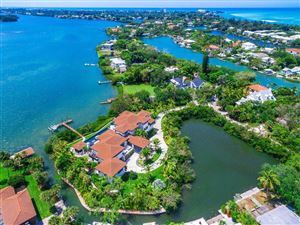 Overall Bird Key homes are highly desirable and one of the top choices for luxury waterfront communities in Sarasota, as resident Jerry Seinfeld can no doubt attest to. Lido Key offers the owner a taste of the Sarasota living good life. Lido Key allows access to the spectacular coastline and beaches on the Gulf of Mexico. Connected to Lido Key lies St Armands Circle, Sarasota's most famous roundabout and shopping and dining area. Siesta Key is the Jewel in the Crown of the five barrier islands, which make up Sarasota if measured by the number of awards and accolades bestowed on Siesta Key Beach. The island is a bit more laid back and unassuming than some of Sarasota's other neighborhoods. It offers the most diverse set of experiences as one can live in or near the Siesta Key Village, along one of its walking beaches, in a canal front home, or on Sarasota Bay. Truly magnificent for its tropical island vibe. 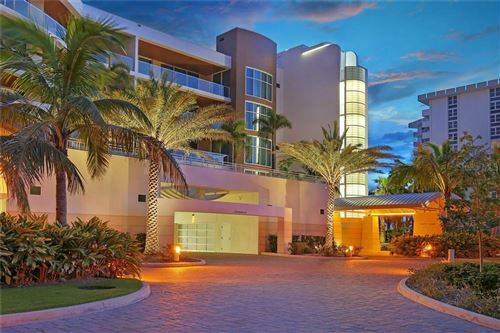 Longboat Key exudes a manicured and sophisticated personality. It is 12 miles long and in many parts you can enjoy views of both the Gulf of Mexico AND Sarasota Bay at the same time. The white sands, marinas, and spectacular golf courses punctuate a lifestyle of the rich, and yes some very famous inhabitants!